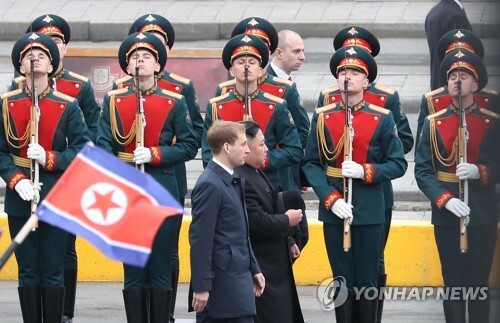 SEOUL, March 21 (Yonhap) -- South Korean President Moon Jae-in on Thursday sought the help of a former head of the United Nations to tackle the thorny issue of fine dust pollution, which could upset his country's fragile relations with China. 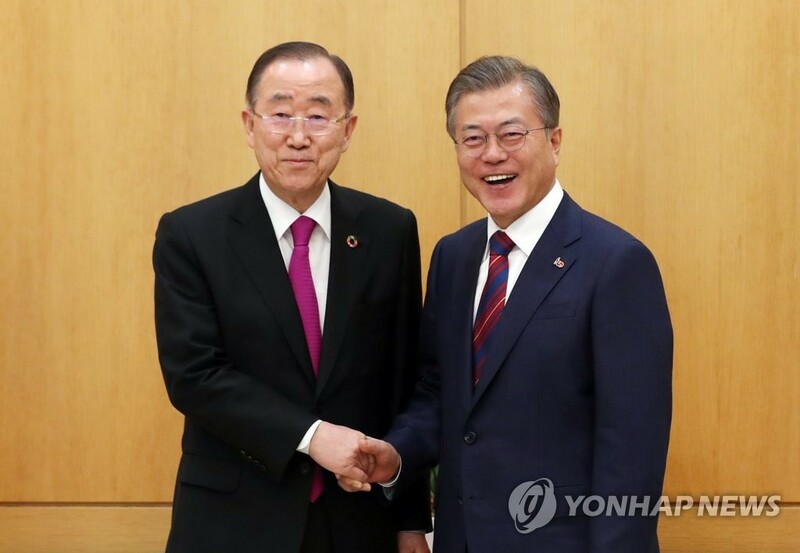 In a meeting held at his office Cheong Wa Dae, the president renewed his request for former U.N. Secretary-General Ban Ki-moon to head a new government organization to be set up. Moon's initial request was made earlier in the month when his chief of staff, Noh Young-min, paid a visit to Ban, who stepped down as the U.N. secretary-general in late 2016. 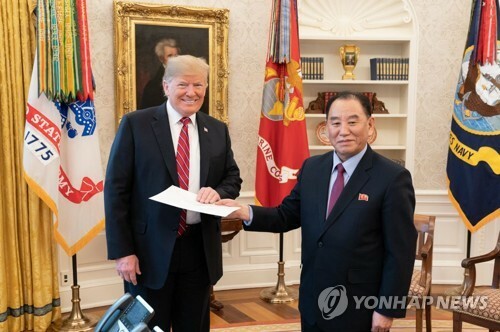 Following his meeting with the president, Ban said he has accepted the offer. "Many have expressed concerns (about me taking the job) and it was because fine dust pollution is a complicated issue caused by many factors inside and outside of the country that will not be easy to solve," he told a press conference. "The reason I agreed to take the job is because avoiding it because it will be a difficult one would run counter to my principles when the lives and health of our people are seriously threatened by fine dust," Ban added. 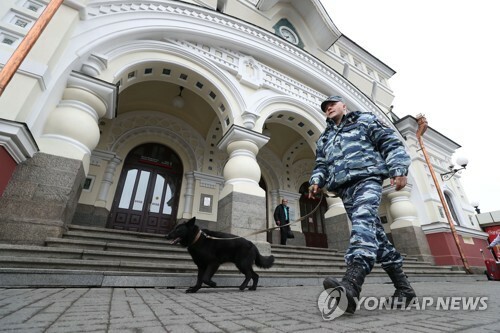 The new anti-pollution organization was first proposed by the head of the minor opposition Bareunmirae Party, who emphasized the importance of coordinated efforts to tackle an issue that is evidently becoming more regional. Moon earlier proposed joint efforts with China to prevent particulate matter moving between the two countries, ordering his government to study the possibility of the countries jointly creating artificial rain over waters between them. Beijing reacted defensively, its foreign ministry insisting that there was no scientific evidence to show any link between air pollution in China and that in South Korea. South Korea has traditionally suffered from fine sandy dust blown from mainland China. Many studies have shown the wind from China now also carries considerable amounts of industrial pollutants, including fine dust. President Moon said the former South Korean head of the global body was the right person to take charge of the sensitive issue. "Fine dust is not only a domestic issue but is a problem that also concerns China. We need to recognize fine dust as a common issue of South Korea and China and work to address the issue together," the president was quoted as telling Ban. 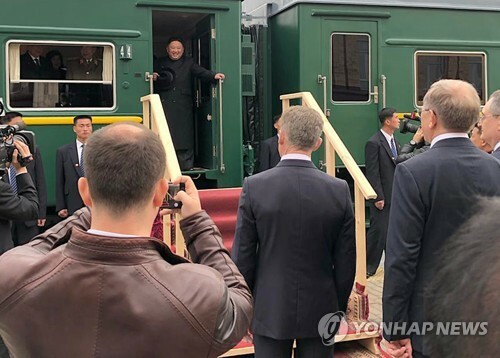 "I thought there is no one else more fit than Secretary-General Ban Ki-moon to do just that," Moon said, according to his spokesman Kim Eui-kyeom. Ban stressed the need to first prove scientifically that fine dust equally affects South Korea, China and other countries in the region. "I believe it is important to first scientifically identify the local and overseas sources of fine dust. It is true that a large part has already been identified but we still need to prove them scientifically," Ban told the press conference. "Cooperation with China and other Northeast Asian countries that are facing the same problem is also very important," he said.